A great way to serve veggies and seafood. 1. 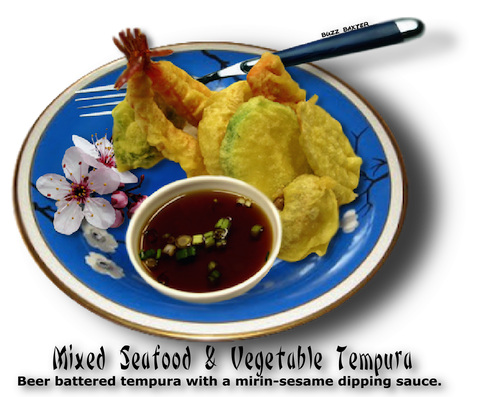 Mix all above ingredients together and dip your tempura for flavor and a little heat. *Can use scallops,  Tibits of Yellowfin tuna,  oysters and etc. ** Can use broccoli or cauliflower flowerettes,  Zucchini slices,  Green beans  and etc.